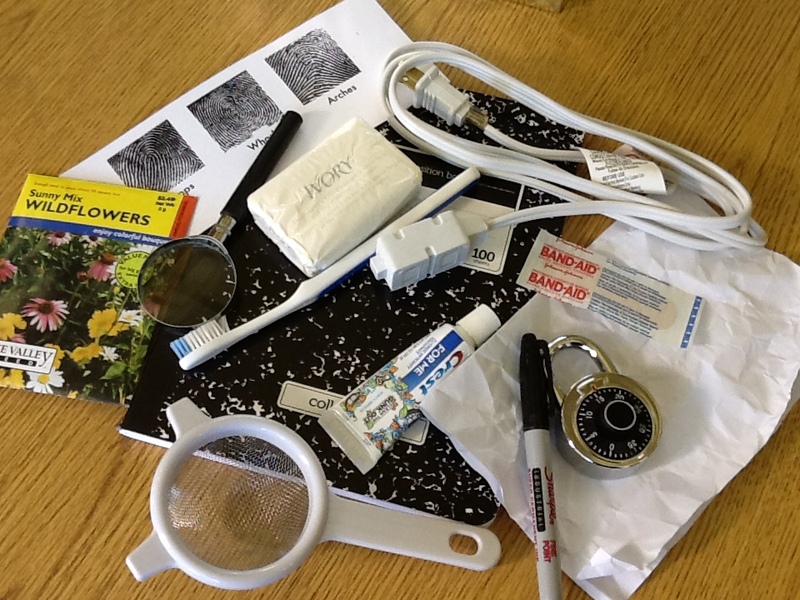 (I made a one adjustment for the elementary age so instead of tattoos, I used fingerprints) I put all the items in a large gift bag and pulled them out one by one and asked students to figure out what each one symbolized when they thought about what it meant to be a good digital citizen or to have good online behavior. The most powerful one is the sheet of paper. I save it for last. The directions are to have a student take it, wad it up, throw it on the ground, and stomp on it. Then they pick it up and unravel it. Then the student apologizes to the paper for destroying it. I then tell them that the paper represents someone’s heart that has been cyberbullied. You can apologize all you want the the emotional scars that remain don’t go away. You could have heard a pin drop…not normal for 5th and 6th graders. Digital citizenship and good online behavior are such an important concepts and ones that can be hard to discuss with kids who think they already “know everything.” The props, this visuals, really make this easier and more effective. First Grade–First graders worked on making inferences with a fun book app called Nora and the Noisy Neighbours. 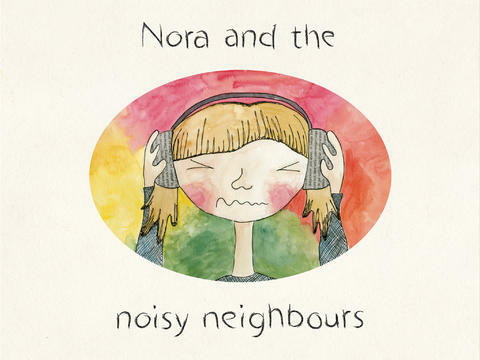 Nora keeps hearing noises from her neighbors and tries to figure out them out. Students made guesses along with Nora using their knowledge and then compared them what was actually making the noises. This is a very simple app and perfect for teaching inferences to first graders. Second Graders–What fun it is for kids to see others misbehave. 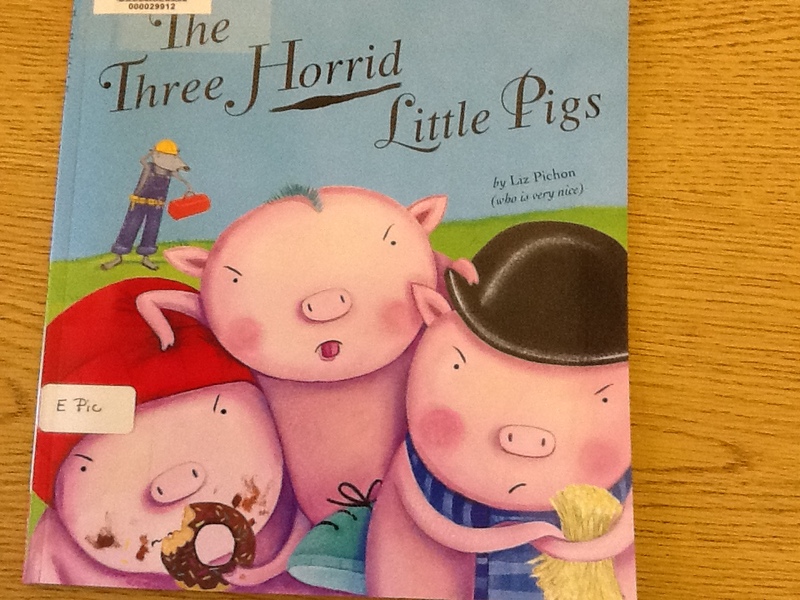 Second graders first looked at an illustration from The Three Horrid Little Pigs by Liz Pichon and used their visible thinking skills to notices all the details and think about what they revealed about the characters. Then I read this hilarious book and they used the thinking routine called Same, Same, Different to compare this version to the original one. 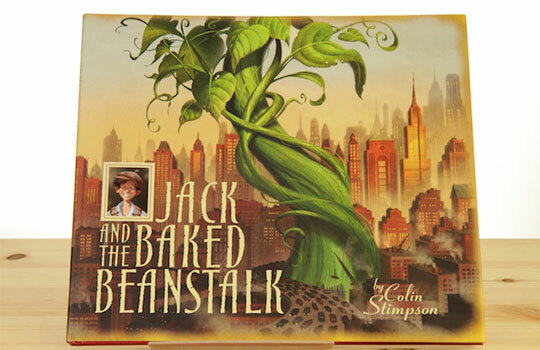 Third Grade–Using the thinking routine See, Think, Wonder third graders first looked at a slide of an illustration from Jack and the Baked Beanstalk and after quite a while noticing the details, they saw the similarities and differences between this story and the original one. The illustrations is this book are fantastic and make it a perfect read aloud. When we finished, they used the Same, Same, Different thinking routine to compare both versions. 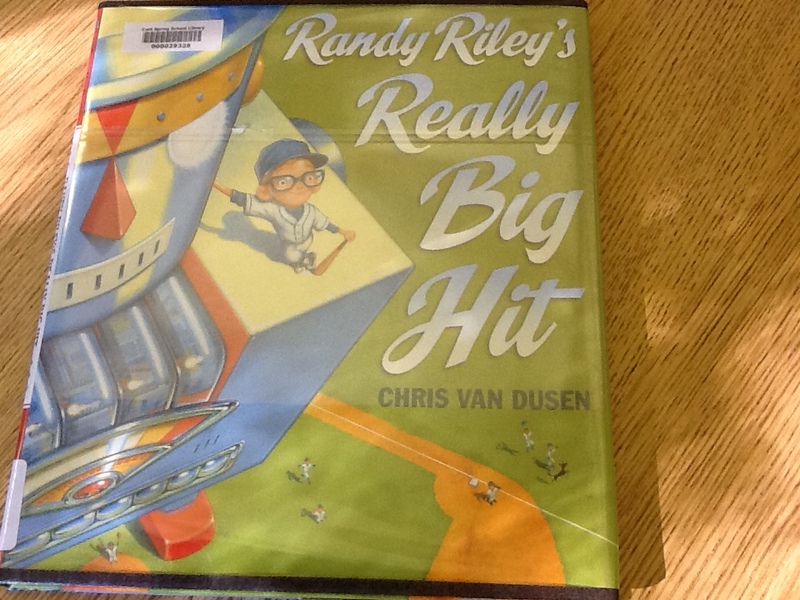 Fourth Grade–Using the thinking routine, Plot Prediction, fourth graders looked at an illustration from Randy Riley’s Big Hit by Chris Van Dusen and tried to figure out what was going to happen in the story. Again, this is a great read aloud as the illustrations are fabulous. This entry was posted in Uncategorized and tagged digital citizenship, online behavior.